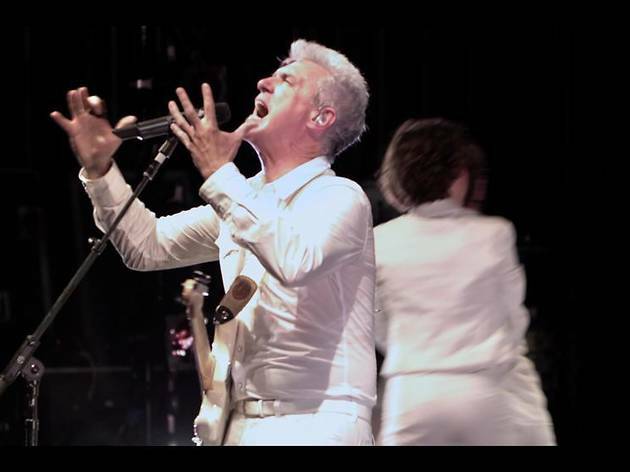 The burden of having been involved in one of the most improbably frenetic concert films of all time (1984’s ‘Stop Making Sense’) weighs heavily on this merely efficient chronicle of the ’08/’09 tour by erstwhile Talking Heads frontman David Byrne. Yes, Byrne remains a galvanising, energetic and charismatic stage presence (off-camera outbursts and all), but that extra sheen of magic is MIA. The main stumbling block is the way in which director Hillman Curtis constantly draws us away from the main performance by splicing in interviews with crew members, producers and even a small troupe of modern interpretive dancers. The intention is to allow us exclusive access to the creative process. The reality is that to-camera testimonies revealing day-to-day admin are at best pretentious and at worst deeply unexciting, even when filmed in tasteful digital monochrome. 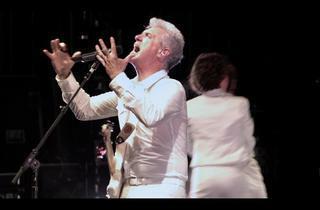 The set list – culled from Byrne’s frequent collaborations with Brian Eno – still shines, and there’s even an amusing moment where everyone emerges wearing tutus: a mischievous effort to lay that famous big suit to rest?